ESP have been installing commercial security systems for twenty years. When purchasing a commercial alarm system for your business, It is very important who you use to install the system but it is equally important which alarm panel you choose to install. In almost every commercial installation ESP install the HKC 10/70 Securewatch System. When we are asked why we only install the HKC Panel, we tell them it is because it is the most user friendly, reliable system on the market with the best technical support . Along with the alarm panel we usually install a vibration sensor on each window and door, and a number motion beams depending on the size of the property positioned throughout the building. These two detectors work very well together, the first one detecting an entry through the window or door and alerting the monitoring station, and then the motion beam sending a second message thus confirming the intruder is now in the offices or shop. Although most of our commercial alarm systems are installed in the greater Dublin area. Though we also install systems in Meath, Kildare ,Wicklow and Louth. When we install an alarm security system we always use a panel which is both wired and wireless , the reason for this is simple ,if during installation we discover a broken cable in a pre wired building ,we don’t need to damage walls to repair the damaged cable ,instead we use a wire free sensor. It also makes it easier to extend the system in future if required. When replacing sensors on your windows we will always endeavour to reinstall the new sensors in the same position as the old sensor to avoid leaving marks on the window frame and we will always ask the customer for the colour of the window frames, so we can best match the sensors to the window or door frame. Although with our modern systems there is very little drilling in your business or cleaning up for that matter ,our engineer will always leave your business as they found it. If you need any type of home security products from alarm installation to cctv installation or intercom installations .Please call our 24 hour phone line on 01 8391188. ESP understands that what you, as the client, want is peace of mind. Security against intruders in vulnerable areas of your premises by day (fire doors, roller shutter doors, loading bays, etc. ), and the whole premises by night, when the building is unoccupied. ESP designs, supplies and maintains wired and wirefree intruder alarm systems consisting of alarm control panels, warning devices (audible and /or visual) and detection devices to protect you and your premises at all times, in particular, outside of normal working hours. 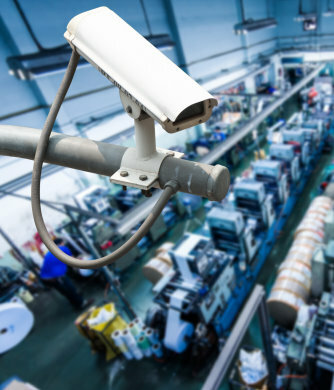 To achieve this ideal, ESP provides a comprehensive range of detection devices, correctly placed to give the best form of detection, combined with discrete appearance and minimum exposed cabling. ESP is experienced in designing wired and wirefree intruder alarm systems which will give the right balance between early detection, adequate coverage and realistic cost. ESP sets itself very high and exacting professional standards – more importantly, our customers appreciate and recognise the value of those standards and accreditations. That’s why we are IS/EN 50131 accredited. As Esp offers a 24 hour service to its customers, we often receive calls from people who are not our customers but need our help. An example of this type of call we receive is when a person moves into a house, the house has a house alarm which nobody has the code for and after a period of time the house alarm goes off and nobody can stop it because they don’t have the alarm code. If they call our 24 hour help line we can help them either over the phone or sending an engineer to re-programme the alarm giving them a new code.Sometimes the house alarm cannot be reprogrammed due to the age, in that case we can at least silence the house alarm and give the client a price for a new system. The same can be done for all alarm households, even if the alarm customer is not our customer. In some cases the person with the alarm going off, is a person renting the property who has not been given the code. Once we are given the go ahead by the landlord we can despatch an engineer to do the repair and the landlord can pay our bill over the phone by card and we can then email a receipt for work carried out and give our recommendations for any future work necessary. House alarms are a fantastic way of keeping your family safe and your property protected – but when alarms are not looked after then they can be big trouble. If you find yourself in that situation then don’t cut any cables or try dismantling the alarm – just call our 24 hour help line and we can take it from there, as cutting the cables can be dangerous and can make the fault worse. When alarm systems came to Dublin first there was no license for alarm installers to adhere to. This meant anybody could install your house alarm. They very often put their phone number on the alarm panel but had no intention of providing a 24 hour service, so when a fault came, there was nobody to answer the call, leaving people with alarm bells ringing, sometimes all night or all weekend. If a person finds themselves in this position then that is bad enough but for a family with a baby or children then the problem is much harder for them to deal with. If you activate your alarm and it wont accept your code then wait 1 minute and put 0 in front of the code and try again – in the case of an Astec alarm use the word clear and then put in the code. This often helps . "In addition to a security alarm system, we also had security lights fitted front and back and a smoke alarm connected to the house alarm, so we feel very well protected by ESP. The installations were very neat and the back-up support is top class. All round, very impressed with the service and have happily referred ESP on to friends and neighbours." "I would highly recommend ESP for the supply and fitting of all alarm systems. We have been a customer of theirs for a number of years and have always found them extremly professional and courteous. Work is always completed on time, and they are always there to help when you call ..."
"We use ESP Security both for our business premises & home alarm. They are experts in the supply & fitting of Alarm Systems. ESP also offer a monitoring of your alarm, which is vital in the world we live in. I have recommended ESP to several of my clients and they have found ESP to be extremely professional and offer very good value for money. I can highly recommend ESP Security." "When the house is empty ESP Security make sure that the alarm system is fully monitored, so that an incident is followed up immediately. They also provide cover when I am on holiday so that I don't have to worry about the security of my home. I have been an ESP Security customer for more than five years and I'd recommend them to anyone worried about the security of their home." "Thanks for recabling our phone for the monitoring service. The quick response and complimentary service is particularly appreciated as I had overlooked that implication of moving our broadband and telephone to upc. Makes us all the more comfortable with the decision to use Electronic Security Protection for our domestic alarm." "I would like to take this opportunity to thank you for the excellent service ESP has provided us. Brian is simply amazing and clearly sees it as a badge of honor to surpass the expectations of clients. ESP have always provided us with service of the highest standard, anticipating our needs and responding punctually and effectively when issues have arisen. I am really, really impressed and will be recommending ESP to clients and friends."